We are ready to harvest, if only Mother Nature would end the rain for a month or so. 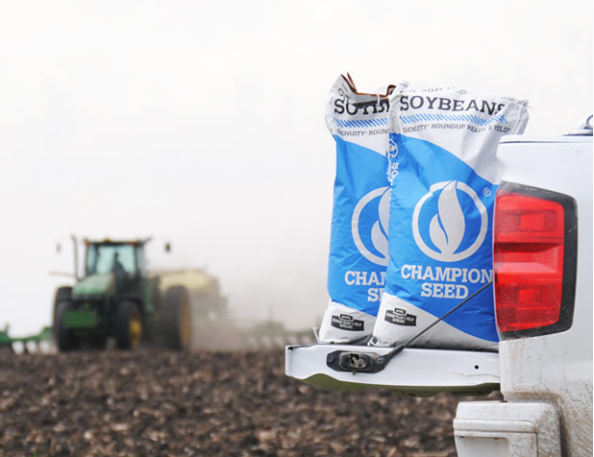 I have recently become more sensitive to smaller and independent seed companies in, primarily due to mergers of the big players who are focused on traits and inputs, but also want to link seed to their products. Small seed companies may be an endangered species unless they offer something their big box rivals do not. You have to be the judge of their appeal, but entrepreneurship is certainly alive in the industry, even in the face of corporate growth of major players. Today a conversation with the owner of Champion Seed, an Iowa company that is working to be competitive in a changing marketplace. Brett Hodnefield is president and one of the owners of Champion Seed. I spoke to him in late August at the Farm Progress Show.